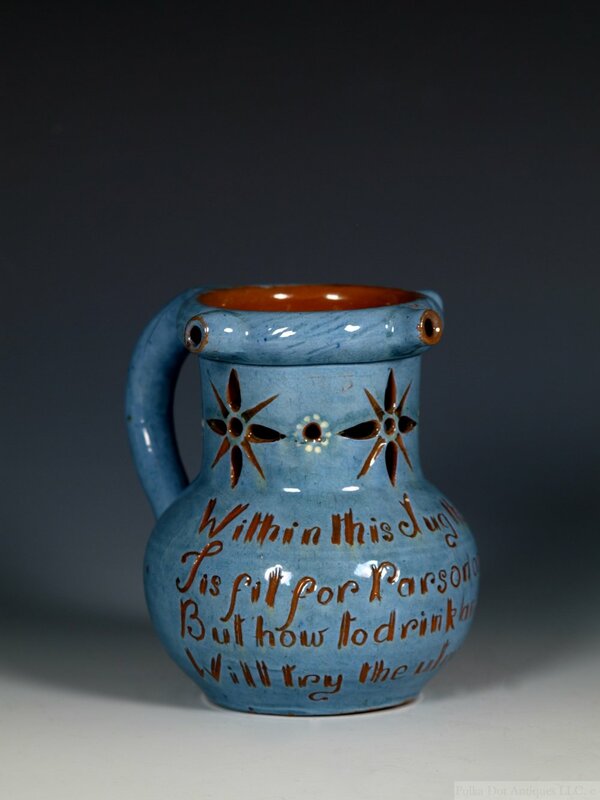 C. H. Brannam, Barum, Pottery Puzzle Jug, dated 1900, ovoid body with pierced neck and ring lip with three short spouts, pale blue glaze incised inscription, inscription “Within this jug there is good liquor, Tis fit for Parson or for Vicar, But how to drink and not to spill, will try the utmost of your skill.” Incised pottery mark and date, R.P. Rd:44561. 4½".